During this episode and the next, Steve and Nigel will randomly draw a 2016 show title from a hat and pair it with a randomly selected question, to see how much they remember from each episode and how much each episode has impacted their lives. This week, they will name their Best SA Drink Of The Week (non-Red Wine category). The guys will answer listener questions from 2016. 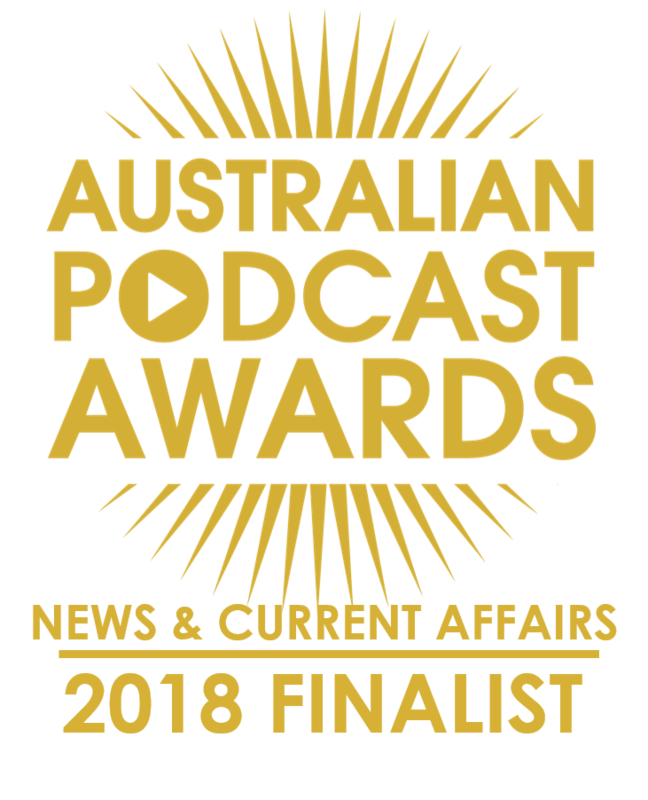 Steve will share his favourite preview video of the year. And they’ll look at the bottom half of Dan Drummond’s Top 50 Songs of 2016 – 50 through 26. 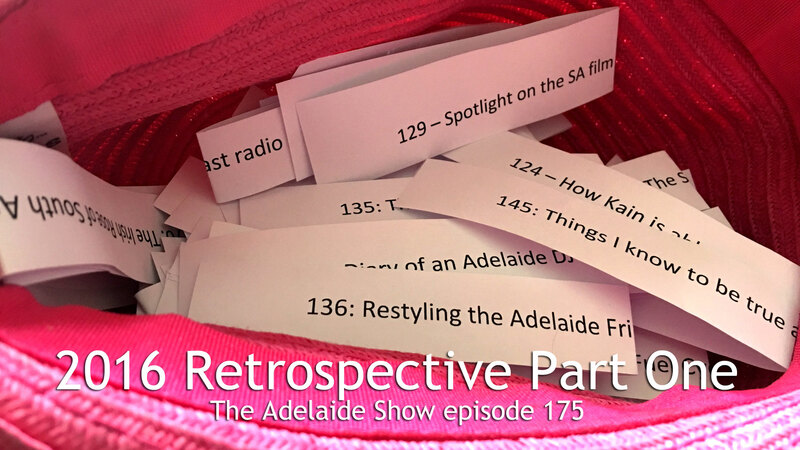 Suggested Tweet text: It’s #conversation #SouthAustralia-style on #TheAdelaideShow 2016 Retrospective Part 1. Little Bang Brewing Company Icon Beer. We answer these questions from our listeners. (From Nardia Symonds) What new wine description did you learn? (From Andrea Ferguson) How long does it take you to do your hair now it’s long? (From Andrea Ferguson) Who is your favourite follower on Social Media? (John Murch from RadioNotes) Do you think the Adelaide Fringe is dead? (John Murch from RadioNotes) through all aspects of the ‘cast (not just songs presented) – did you appreciation of music change? (From the Cardinals Book Club) What ‘is it news’ false story you wish was true? (From the Cardinals Book Club) Who was your favourite guest? (From the Cardinals Book Club) Have you tried any of the wine of the week? (From the Cardinals Book Club) Where was the strangest place you’ve listened to the podcast? (From Beck, a child psychologist who has been on our show) What guest surprised you the most? (From Beck, a child psychologist who has been on our show) What is something new (food, drink or activity) you tried as a result of a show? (From Damien Lewandowski) Why hasnt there been @TheAdelaideShow filmed on popeye baffles me? (From Damien Lewandowski) What SA event should the Adelaide Show attend in 2017? (From Vin Brown) What were some things you learned about Adelaide’s history that you found particularly interesting? (From Dan Drummond) What was your favourite feature song? Cal Williams Jnr teaches Steve 12 bar blues. Don’t look at the past through rose-coloured glasses. Beware parfum or perfume in your shampoos and cosmetics. Radio in Adelaide has a gaping hole when it comes to local music. Strategies for keeping families safe around alcohol. The Adelaide Fringe is a marketing juggernaut. Aussies can’t cope with real Italian pizzas yet. There is a huge demand should we process spent nuclear fuel. Amazing solutions being created for Mars here in Adelaide. Theatre is connected to the film bone. Digital doesn’t cut it. Or does it? Mime pulls back the curtains of the heart. Be bold with your humour in dire situations. The tedium of people attempting Irish accents. What to do about breasts. The real price of a mobile phone. And our song this week is from tracks 50-26 of our musical curator, Dan Drummond’s, Top 50 Songs of 2016. We chose Kelly Breuer aka The Brouhaha’s Good People because it was very fitting for 2016, mentioning how good people are dropping off like flies and how it makes us realise that time flies by. The song has been around for a couple of years but Dan put it in his Top 50 for this year and we are not complaining.